If you’re a Head-fi frequent, you’ve probably observed the buzz surrounding these earphones. If not, the K3 Pro should still make your shortlist as perhaps one of the most impressive sub $100 earphones on the market. With a gorgeous full-metal construction augmented with a removable cable, the K3 Pro’s make a strong first impression from audio newcomer Magaosi. And behind that lavish facade beats a comprehensive triple hybrid driver setup complete with two proprietary balanced armature drivers mated to a graphene dynamic. And while competition is as fierce as ever, the K3 Pro immediately stands out both internally and externally. Let’s see if the K3 Pro can live up to the hype and realise the promises of their advance internal acoustics. I would like to thank Chi Kong Hui from Penonaudio very much for providing me with the K3 Pro for the purpose of review. There is no monetary incentive for a positive article nor do I allow any manufacturers or resellers to edit my writing. Despite receiving the earphones free of cost, I will attempt to be as objective as possible in my evaluation. The packaging of the K3 Pro is quite refined and well-presenting though the print quality and renders don’t flatter the buyer like the Oriveti Basic for instance. Of note, the packaging still states K3 even for the updated K3 Pro model. Sliding off the top cover reveals a very nice textured box with metallic embossing denoting the Magaosi brand and model number, again with absence of the updated pro moniker. Inside, the earphones are showcased within foam with a section underneath containing the carrying case. The case is very large though excessive padding means internal space is surprisingly limited. It’s another well-presenting but impractical offering that really offers minimal benefit in daily use. The case contains the two MMCX cables, one with a remote/mic for smartphone usage and one pure audio cable of higher quality. In addition, Magaosi include 2 pairs of silicone tips in addition to 3 pairs of elongated foams that provide improved isolation for travel. The K3 Pro also has an interesting filter system that provides some basic tune-ability. Two filters are included from factory, a transparent filter and a filter that attenuates high frequencies. It’s definitely one of the best-implemented solutions I have come across, they simply screw into place, locking into place via a small rubber o-ring. The K3 Pro is a stunning earphone, especially considering its more modest asking price. Among earphones from TFZ, Simgot and more household brands like Shure and Westone, the K3 Pro is undoubtedly one of my favourites. The all-aluminium construction is impeccably finished, ergonomically styled and feels nothing but rigid in the hand. The K3 Pro’s are available in two colours, silver and grey as pictured in this review. Both are striking though the grey model is arguably more distinct. A few users have mentioned QC issues though I did not notice anything like that, rather, the K3 Pro has one of the nicest constructions I’ve seen around this price. Utilising the typical monitor style housings, the K3 Pro is reminiscent in shape to earphones from Shure and Westone as opposed the more atypical TFZ King, Simgot En700 and Oriveti Basic. But manufacturers adopt this design for a reason and through this tried and tested form factor, the K3 Pro achieves fantastic ergonomics that put their rather awkward competition to shame. Considering the triple driver configuration housed within, the earphones are compact, smaller than the SE215 for instance, and their low-profile fit and replaceable cable makes them ideal for sleeping. As such, they sit deeper in the ear and avoided forming hotspots during my usage. The inner face is absolutely smooth with a perfectly angled nozzle integrated into the metal housings. The nozzles are quite long enabling a deep fit, and are of wider bore; CP100 Spinfits just fit with some stretching though wider tips like the JVC Spiral Dots are more suitable. With an over-ear fit, the K3 Pro’s proved to be very stable during use, easily staying put during exercise and general daily commute. Due to the presence of two small vents on the outer face, they aren’t the most isolating earphones, though they suffice for public transport. Foam tips do improve isolation and they may be just adequate for air travel with noticeable volume increase. Long term comfort is also good, the earphones are well shaped and will suit those with smaller ears. They aren’t quite as comfortable as the exemplary Oriveti Basic’s with mild discomfort forming at the back of my ears during extended use. Still, they are one of the most ergonomic earphones I’ve used around this price. The K3 Pro has a removable cable using the traditional MMCX connector allowing for countless aftermarket options should the stock cables be unsatisfactory. One thing to note is that the K3 Pro has very loose MMCX connectors. While sound never became intermittent and the cables never accidentally detached during my usage, the earphones may be more prone to these issues later down the road. Two cables are included from factory, a remote cable and audio only cable. The remote cable is honestly pretty cheap feeling, very plasticky with far too much memory for my liking. Though it will do in a pinch, this is obviously not how the K3 Pros were designed to be experienced. Luckily, the audio-only cable is far more pleasing, perhaps not as much as the braided cables on the King and En700 though those units are non-removable in return. Instantly, the silvery audio cable is more catching with a lustrous internal braid. All connectors are beefy with great strain-relief that puts many more expensive earphones to shame. The actual wire is reasonably ergonomic with a smooth texture and a decently supple feel. The cable conforms to the user with well-shaped heat-shrink ear guides that are easily more favourable than memory wire. The right angle plug is low-profile, easily fitting within my phone case. Acoustically, the silvery cable has a drier midrange and more sub-bass snap, high frequencies are a little unrefined. Cable swapping is not an economical way to adjust the K3 Pro’s sound though those with a few MMCX earphones may want to give cable swapping a go as they response reasonably well. It’s been said countless times before that the driver array really amounts to nothing, more marketing than meaning. Because without tuning of each and every acoustic element, the housings, filters, tips, etc, a multi-driver earphone can very easily sound worse than single driver equivalent. So of course, I was hesitant of the K3 Pro’s meagre asking price, postulating that a triple driver could not possibly be refined enough to compete with stunning single dynamic driver earphones like King, En700 Bass and Basic. Thankfully, any doubts were very quickly dispelled upon first listen of the K3 Pro; even fresh from the box, they were delightfully engaging and simply well done. They aren’t the first to pull of the hybrid driver format at this price, those accolades go to the notorious 1More Triple Driver, though the K3 Pro holds numerous advantages over that model in both sound and design. But though the K3 Pro performs better than I had hoped at this price, the earphone is still bested by other triple driver setups like the Dunu DN-2000 and Oriveti New Primacy, of course, both are around triple the price. Ultimately, the K3 Pro embodies value as others embrace diminishing returns, Magaosi have done their homework with proprietary drivers producing a sound that is similarly unique and desirable. The K3 Pro also has a really nice if not well-rounded soundstage with special mention going to width. With a very ovular presentation, tracks with encoded soundstage details just reach out of the head width with substantially more intimate depth. Height is mostly non-existent though most earphones don’t tend to reproduce this axis well anyway. As such, the earphones do sound spacious while retaining a very strong centre image. This comes at the cost of imaging where details tend to be pushed to the sides with some absences at the front besides the very centre. In listening, the earphones actually sound very nice though the aforementioned weakness with imaging is easily noticeable in comparison to most other earphones. When listening to a live recording of Eric Clapton’s “Layla”, vocals were very well centred though the instruments and audience were pushed to the side, missing out on some details and accuracy. In addition, the K3 Pro’s are one of the more separated earphones I have heard around this price though treble can get a bit busy. By comparison, the Simgot EN700 Bass, another fantastic earphone at this price, was more rounded with better instrument placement and a similarly strong centre image though its more forward midrange and smaller stage compromised separation. So while the K3 Pro shows some minor faults, its performance is hardly mediocre overall, they avoid sounding either congested or claustrophobic. The K3 Pro’s are of average sensitivity (99dB) with a higher 32ohm impedance. While that may sound like a negative, I’m actually quite happy they aren’t ridiculously sensitive and their higher impedance lends them well to higher output impedance portable sources, sounding quite consistent across devices. The K3 Pro can struggle slightly with low power sources, sounding a little flat from my iPod Nano 7G, but they quickly scale up with even modest smartphones like my HTC 10 and Galaxy S6 Edge. From my Chord Mojo, the K3 Pro didn’t noticeably improve beyond some additional soundstage space, separation and detail as expected. They are notably less sensitive than the Oriveti Basics, Simgot EN700’s and TFZ King, all of which are all quite sensitive, but in return, the K3 Pro is much less sensitive to hiss; they sounded almost silent from my Fiio X5 III while the TFZ King revealed a very distracting amount of hiss. I think this approach is better suited towards buyers around this price range who don’t want to spend an obscene amount of money on a dedicated source, the K3 Pro is neither source sensitive nor is it especially difficult to drive unless you’re using something like an iPod Shuffle as your daily source. Bass has a modest boost, adding a little extra deep bass and more mid-bass fullness to the overall sound. I would characterise the entire low-end of the earphone as slightly warm though among $100 earphones, they are one of the most balanced in the low-end; the Simgot EN700 Bass, TFZ King and especially Oriveti Basic all provide increased bass emphasis for listeners looking for more low-end. Sub-bass extension is decent but not fantastic regardless of tip choice. Mid-bass has extra punch, leading into a warmer upper-bass response and lower midrange that well avoids spill and any tubbiness or bloat to bass notes. When listening to Bruno Mar’s “Locked out of Heaven”, the K3 Pro’s were lacking a bit of slam to bass drums but bass notes had nice decay and texture. Compared to the Oriveti Basics, the K3 Pros were the immediately more balanced earphone though the Basics held an advantage with sub-bass extension and slam with a similarly tight mid-bass response. The Basics are also the cleaner sounding earphone with greater separation between bass and midrange though the more linear K3 Pro has more consistent texturing and detail to bass notes. Bass resolution on the K3 Pro’s is also a little hazier than I am accustomed to, and though they are no worse than the EN700 Bass, earphones like the Basic and TFZ King do portray clearer delineation between tones and complex passages. So the bass response on the K3 Pro is well judged in tuning, has impressive texturing and imparts a great sense of rhythm into the earphone’s sound without becoming bloated or excessive. Despite this, the earphones are still a long way off from other, admittedly pricier, triple driver hybrids that splice through complex passages that the K3 Pro tends to mince. The first thing that stood out to me on first listen was the clarity of the K3 Pro’s midrange. Both male and female vocals have great clarity, albeit at the cost of sounding somewhat unnatural. Instruments are similarly hyper clear, making for an incredibly satisfying listen that enhances a lot of source material. After some adjustment, the midrange never sounds off or unpleasing, vocals are simply slightly thinner and raspier than usual. Resolution is also good and the K3 Pro’s technical shortcomings are well masked by the boosted clarity; niggles such as vaguer layering and a loss of micro-detail are less apparent than more laid-back earphones. Otherwise, the midrange is again, well-tuned, with a slightly darker balance that places a little extra emphasis on male vocals. Mids do retain pleasing balance but can sound somewhat recessed on already vocally recessed tracks such as Billy Joel’s “Piano Man”. 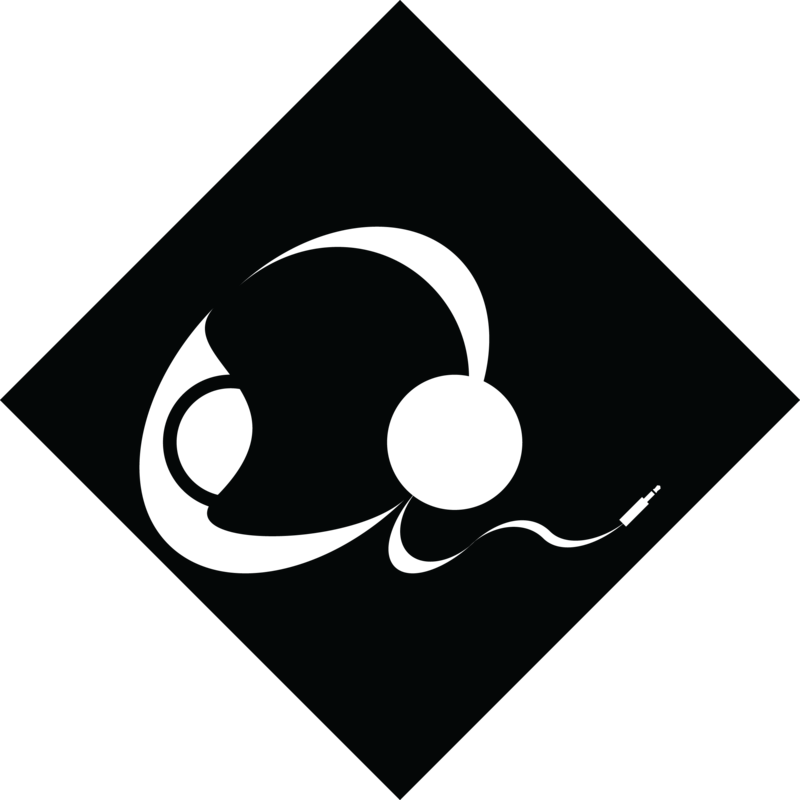 Similarly, female vocals can sound a little distant, for example, when listening to Egoist’s “Departures”, the forward female vocals sounded slightly strained and thin if pleasingly clear. And this character really persists with most material, detailing is really nice amongst the competition and the K3 Pro continually trades transparency for engagement. That being said, they still sound more balanced to me than the L-shaped, laid-back Oriveti Basic and the super aggressive TFZ King though buyers looking for a balanced sound will still want to look into the Vsonic GR07 and Hifiman RE-400/600. For everyone else, the K3 Pro will sound immensely impressive with glossy vocals, aggressive but not fatiguing detail and enough technicality to maintain glimpses of micro detail and atmospheric effects that a lot of earphones around this price skip over entirely. Unsurprisingly, highs tell a very similar story as the more vivid the tuning, the more polarising the earphone. Treble is reasonably forward even with the more attenuating silver filters and high notes do tend to sound splashy and a bit thin on most material. But this presentation also comes with great detail retrieval and a fantastic sense of air and sparkle up top. So the K3 Pro isn’t at all a bad performer when compared to the rest of the competition; they extend really well, further than Oriveti Basics and EN700 Bass while still sounding a little more even than the TFZ King. They actually remind me of the 1More Quad Drivers in their treble presentation, albeit, they are markedly less refined. When listening to Radiohead’s “Creep”, cymbals were quite realistic, just slightly thin and tizzy but texturing was among the better $100 earphones. High-hats were especially well reproduced with nice timbre and sparkle without coming off as strident. Still, treble does get busy as aforementioned in the soundstage section. While the midrange sounds very separated, the bass and treble responses can get a little congested with some material, Creep being a perfect example. The EN700 Bass might just be my favourite performer around this price, it has really spot-on body and texture, and perhaps most importantly, it is vastly less peaky than the K3 Pro. And while the K3 Pro is very detailed and extended up-top with copious sparkle and air, they can get fatiguing after an hour or so of listening, some middle treble notes can sound overly forward when listening to genres such as rock and metal though this boost does impart the sound with very aggressive detailing and crispness. So for everything else, the K3 Pro provides such a vivid sound that it becomes hard not to enjoy their response despite their shortcomings. When an earphone hits the forum with immediate applause and appraisal, I’m often quite apprehensive. Because a lot of those immediately impressive earphones can be overly sculpted and unrefined though haste for an early impression forgoes these shortcomings in favour of that initial wow. And that’s not to the discredit of other reviewers, everyone has their own preferences and no one is exempt from subjectivity. There’s also no doubt that the K3 Pro is a fantastic earphone but they still aren’t the earphone that a lot of users have set them up to be; they didn’t immediately outclass other earphones I’ve heard around this price nor modern earphones at higher prices. And that was hard for me to admit because I really like the K3 Pro, they have my ideal sound signature and form factor all at an attainable price. But ultimately everyone has their own definition of perfection and the K3 Pro, for all of its strengths, does suffer from some fallbacks which I haven’t heard echoed nearly as much as their strengths. But despite lacking realism, linearity and even transparency, the K3 Pro doesn’t sound bad at all, rather, they sound very nice. And I think the K3 Pro’s cult success illustrates the underlying notion within the audio hobby that individual preference will continue to triumph over technicality. The K3 Pro isn’t a natural or outstandingly technical proficient earphone, but they are one that are incredibly vivid and engaging. And my guilty enjoyment of the K3 Pros idealised sound stems from the unending yearning to be moved as listeners. When we start to analyse sound, we tether our music to reality and the hobby can very quickly become a chore. And that’s because music wasn’t invented to mimic reality, but to enhance it, and it’s in this regard that the K3 Pro excels. Overall – 8/10, The Magaosi K3 Pros are the perfect definition of idealism over realism, the complete opposite of the Hifiman RE-600S V2 that I just reviewed. But what separates the K3 Pro from consumer models that similarly colour the sound is their very tasteful balance between lows, mids and highs all built atop a solid technical foundation. Their hot treble may not be for everyone, but few will find issue with their textured, organic bass and super sweet midrange. The K3 Pro is a fantastic sounding, great looking and solid feeling earphone that glorifies your music. The K3 Pro is available from Penonaudio (International) for $110 USD, please see my affiliate link for the most updated pricing and availability.